You might have seen that I recommend italki (to have online lessons with great teachers) and Grammarly (to improve your writing). NEW! Read about my Phrasal Verbs Online Course!! This page is where I tell you about other resources that might help you. First there's the textbooks I use in my class, some opportunities for listening practice, and reviews of some smartphone apps. If you want to buy a book, please disable adblockers and refresh the page - that way, the links will take you to your local Amazon store (UK, Germany, France, Italy, Spain, USA). The best CAE coursebook is Ready for Advanced by Roy Norris. (It used to be called Ready for CAE but Cambridge changed the name of the exam.) 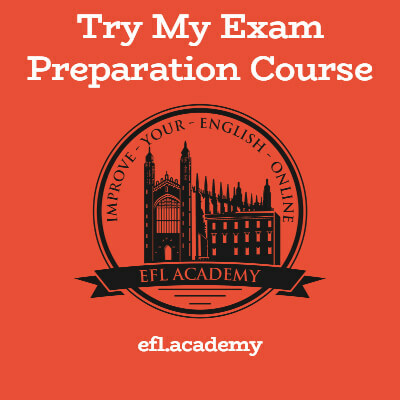 It teaches all the grammar and vocabulary you need to pass the exam, plus most exercises are formatted exactly the same as in the exam. That means you're getting exam practice while you're learning English. Perfect! I use this with all my CAE students and I even use it with students who don't want to take the exam, because the reading texts are interesting and there's great variety in the topics. The workbook would make a great additional purchase - it repeats and recycles the grammar and vocabulary from the coursebook - doubling your chance of remembering what you study! I promise my students that if they finish the coursebook plus the workbook they will pass the exam, and so far it has always been true. When exam time comes close, you want to do practice tests. That's when you turn to the official Cambridge exam books. They are expensive. You can save money by buying them without the CDs, but that only makes sense if you know someone who can lend you their CDs. 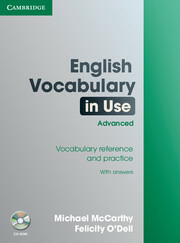 The final book I use is called English Vocabulary in Use. It's from Cambridge University Press (maybe they know something about Cambridge exams?) and it's divided into topics like 'money', 'sports', 'British vs American' etc. The left-hand page explains all the new vocabulary, the right-hand page has 4 or 5 exercises. If vocabulary is your main weakness, this is a good choice. Almost any kind of reading will benefit you - reading a magazine will help you with vocabulary and reading Harry Potter will reinforce all kinds of sentence structures (reported speech; inversions; conditionals!). 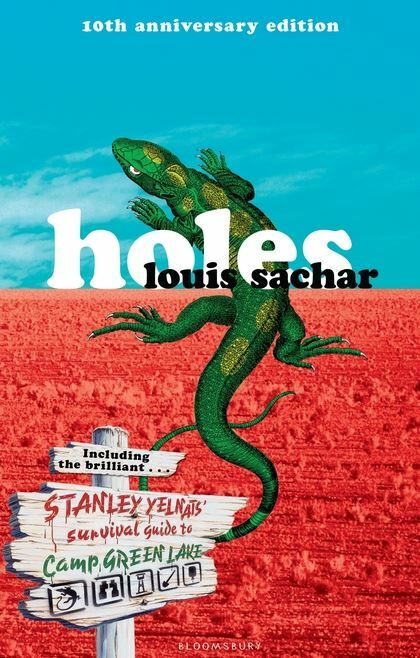 'Holes' is a book that everyone will enjoy. Don't read any reviews, don't check the story on Wikipedia, just buy it, read it, then write to me and tell me how great it was. It's the best decision you will ever make! My girlfriend hates audiobooks - she says she can't focus on them. For normal people with healthy concentration spans, audiobooks are a great way to practice listening skills. My students who regularly listen to things in English (audiobooks, How I Met Your Mother, BBC radio, etc) do better in listening exercises than those who don't. It's simple. A simple vocabulary builder. Free, and some students really like it. Here's my video review of Magoosh. From the makers of the CAE exam! This app is the companion to the excellent English Vocabulary in Use (see above). It costs a couple of pounds/dollars/euros. Just phenomenal! Everyone has their own favourite electronic dictionary but only Google Translate has features that make people's jaws drop. Watch me use it in this video. No - I haven't used Photoshop to change anything! It's really happening!